July 15th the Minister of Fisheries, Matthias Bjarnason, issued a regulation concerning the extension of the fishing limits to 200 miles on the 15th of October. On the 13th of November the agreement with the British on the 50 miles limit was to expire. British ship owners protested strongly, the government of Germany and the Common Market Countries expressed their dissatisfaction. October 15th the limit was extended to 200 miles. November 16th the trawl cutters were used for the first time in the dispute, when the trawler “Primella” was cut a bit shorter. November 17th the dialog between the nations ended abruptly. 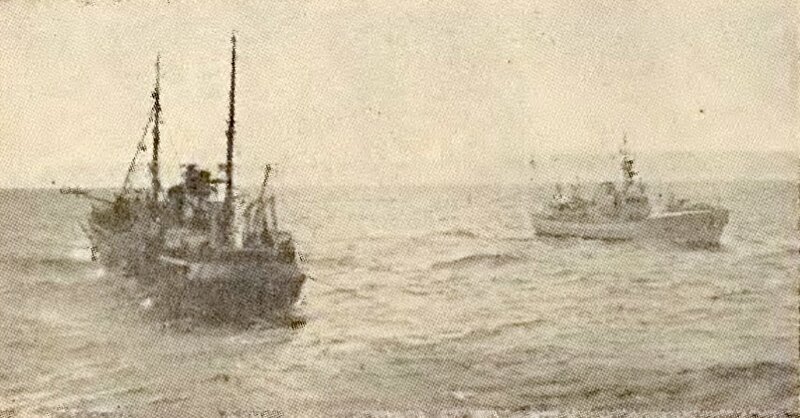 The British sent towboats to the fishing grounds for the protection of their trawlers.November 25th an agreement about limited quotas was reached with the German government. The British sent three frigates to Iceland. December 6th the towboat “Euroman” rammed “Thor” after it had cut trawl wires. December 10th “Thor” and the frigate “Falmouth” had a clash off the east coast. December 11th “Thor” was considerably damaged after the ramming of several towboats. They did not stop until “Thor” fired a shot through the bow of “Lloydsman”, the first shot fired during the dispute. January 7th the frigate “Andromeda” rammed “Thor” hard and damaged it severely. Two days later more severe damages were caused by the battleship “Leander” after repeated ramming attempts. January 11th the people in the vicinity of the naval base closed its gates to protest the behaviour of the battleships. January 19th the government threatened to sever diplomatic connections with Britain. British authorities pulled their battleships out and invited Prime Minister Geir Hallgrimsson to a dialog in London. They were in vain, and the battleships returned to the fishing grounds. February 19th the diplomatic relations with Britain were ended and NATO conferred on the matter. May 6th the dispute started turning even more ugly and the frigate “Falmouth” rammed “Tyr” twice severely. May 23rd the Ministers of both nations conferred in Oslo. June. Both nations agreed on quotas for British trawlers for the next six months. After that they were permitted to continue fishing within the 200 miles’ limit with the permission of the Icelanders. The last “Cod War” was eventually over. Atli Magnusson: “I kroppum sjo”. Captain Helgi Hallvardsson recites his experiences. Orn and Orlygur 1992. Bjorn Thorsteinsson: “Ten Cod Wars 1415-1976”. Sogufelagid 1976. David Olafsson: “Saga landhelgismalsins”. The struggle for the extension of the fishing limits to 12 miles. Sumarlidi R. Isleifsson prepared for printing. Hid islenzka bokmenntafelag 1999. Gilchrist, Andrew: “The Cod Wars, and how to lose them”. Memoirs from Iceland 1957-60. Translated by Jon O. Edwald. Almenna bokafelagid 1977. Gils Gudmundsson: “Slysavarnarfelag Islands 25 ara”. The National Life-Saving Association 1953. 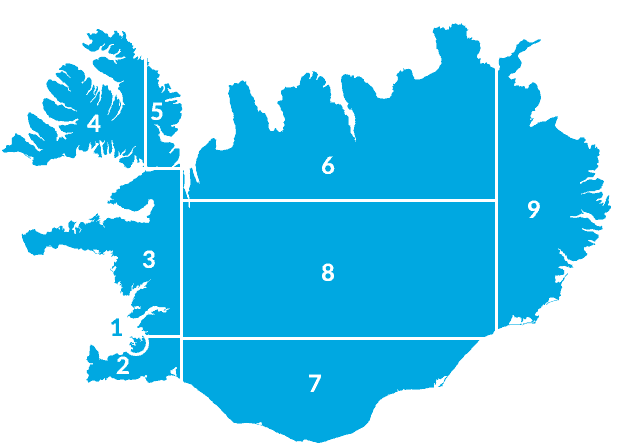 Gudjon Arngrimsson: “Landhelgisgæzla Islands 1926-96”. Glimpses from the 70 years history of The Icelandic Coast Guard 1996. Gylfi Grondal: “Eldhress i heila old”. Captain Eirikur Krisofersson recites his experiences and adventures from this world and beyond. Sigurdor Sigurdorsson: “Spaugsami sporfuglinn”. Captain Throstur Sigtryggsson recites his experiences. Orn og Orlygur 1987. Sveinn Saemundsson: “Gudmundur skipherra Kaernested 1-2”. Orn og Orlygur 1984-85. Gylfi Gröndal: Eldhress í heila öld. Eiríkur Kristófersson skipherra segir frá ævintýrum sínum og atburðum þessa heims og annars. Forlagið 1993. Jón Eiríksson: Skipstjórar og skip. Skuggsjá 1971. Sigurdór Sigurdórsson: Spaugsami spörfuglinn. 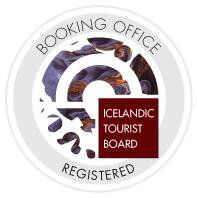 Þröstur Sigtryggson skipherra segir frá. Örn og Örlygur 1987. Sveinn Sæmundsson: Guðmundur skipherra Kærnested 1-2. Örn og Örlygur 1984-85.